The Town of Cornelius is partnering with North Carolina Wildlife Resources Commission and Lake Norman Wildlife Conservationists to present this year's event, to be held just prior to our annual Earth Day celebration, Earth Jam! 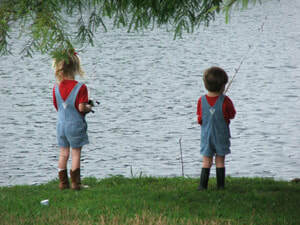 This free, family-oriented event offers a fun, educational fishing experience. Fishing rods and all other equipment will be provided for use. Registered participants will be able to fish and parents/guardians are encouraged to participate with their children. Registration is limited to 40 participants. Please call us at 704-892-6031 x160 with any questions or to register over the phone - or you can register online - it's FREE!